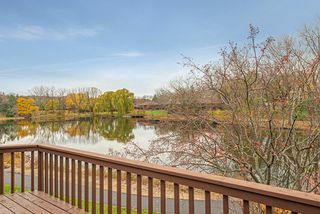 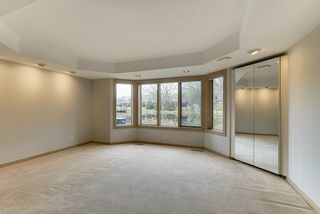 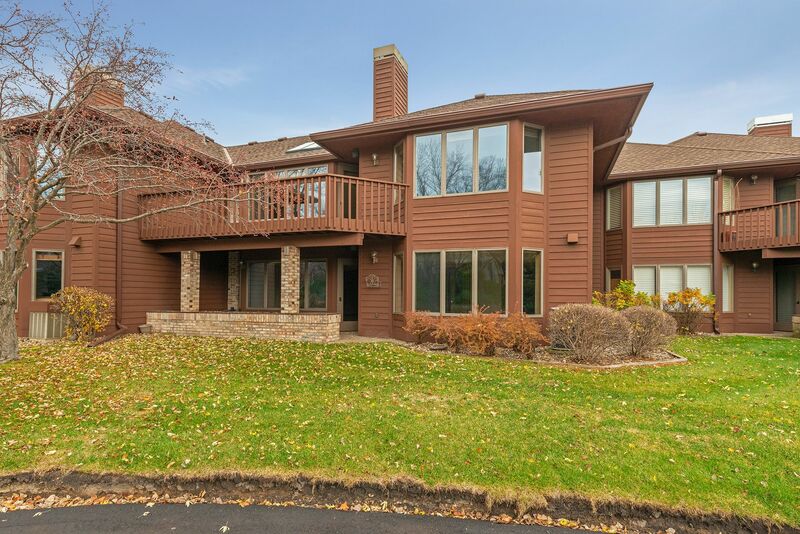 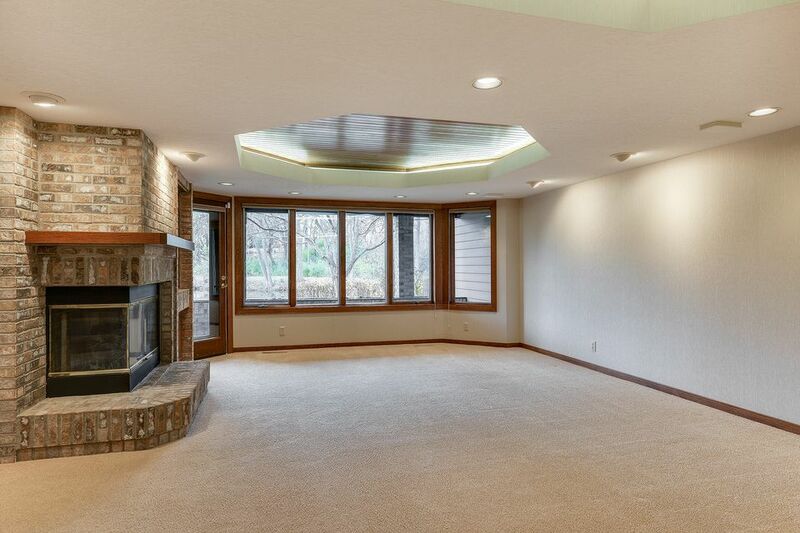 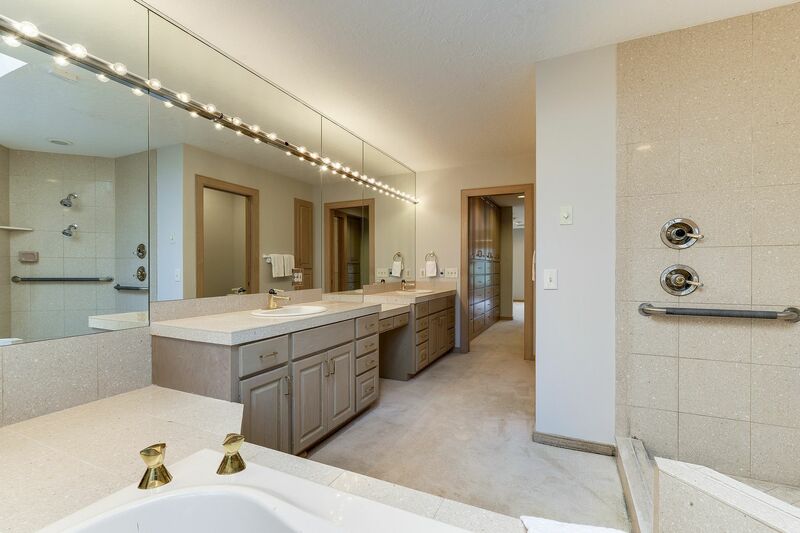 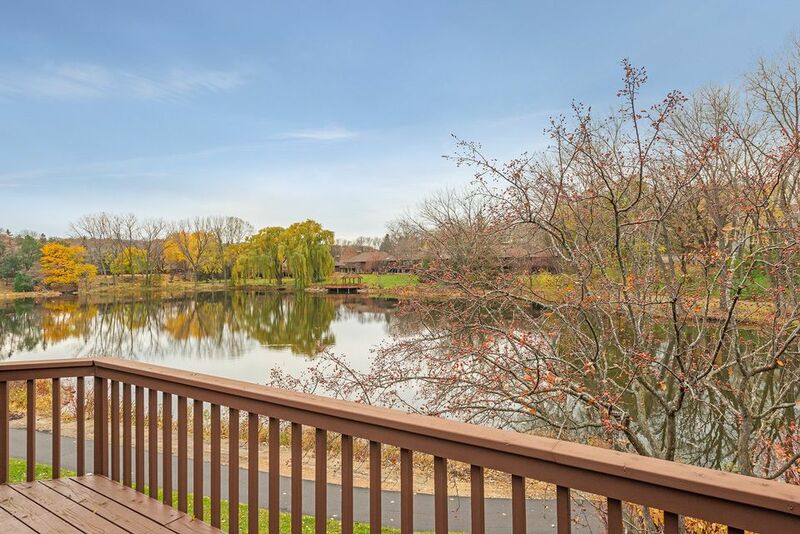 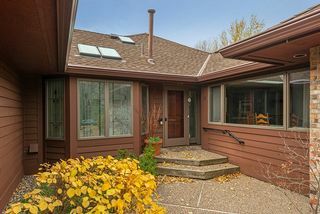 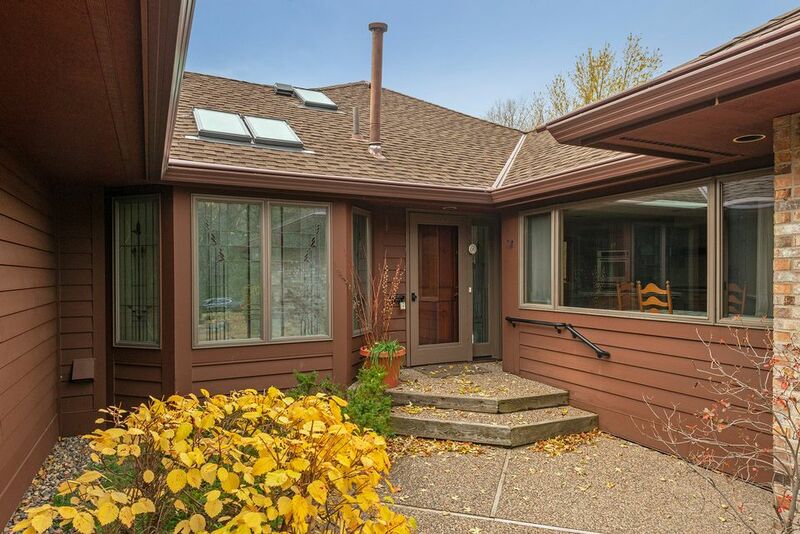 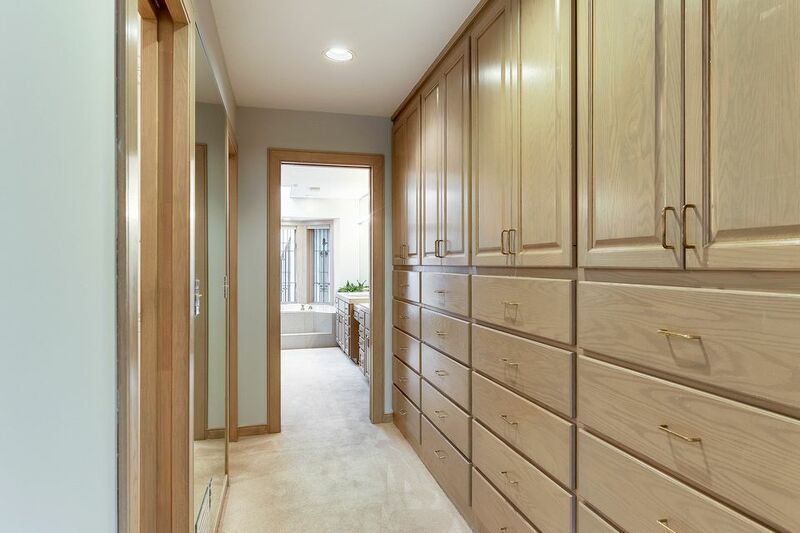 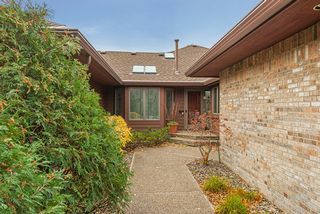 Wonderful townhome in Edina's Dewey Hill III complex with western veiws over the pond. 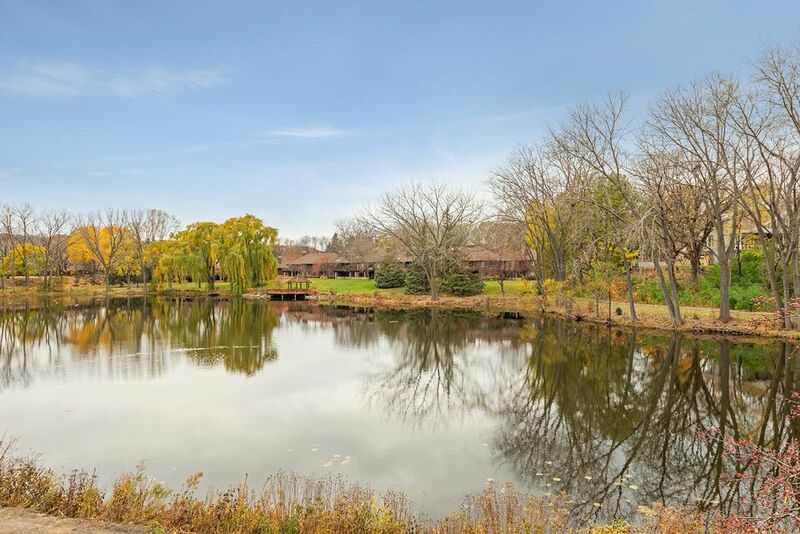 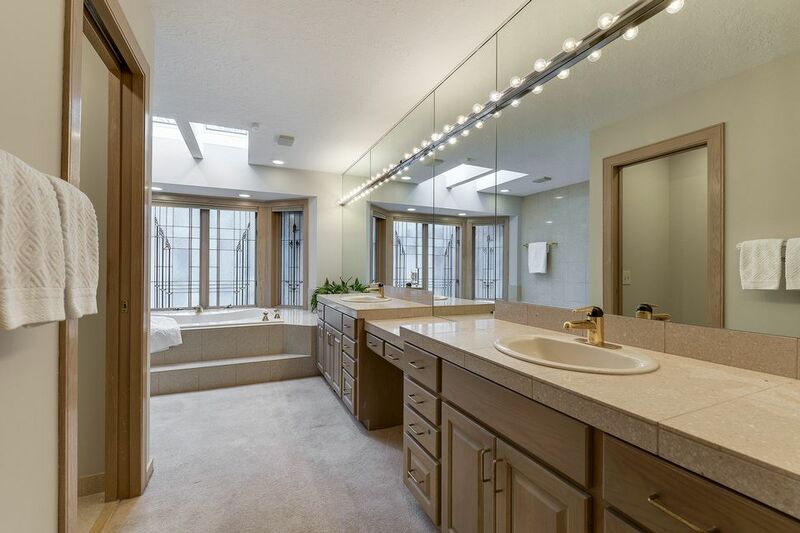 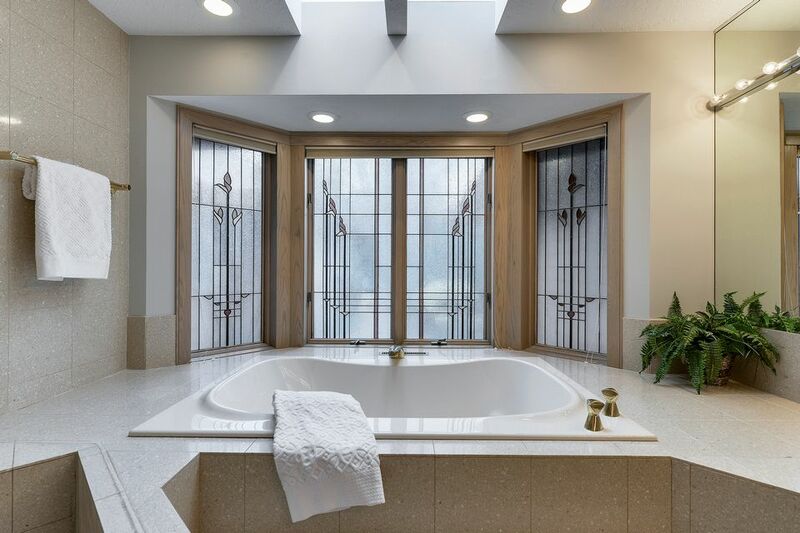 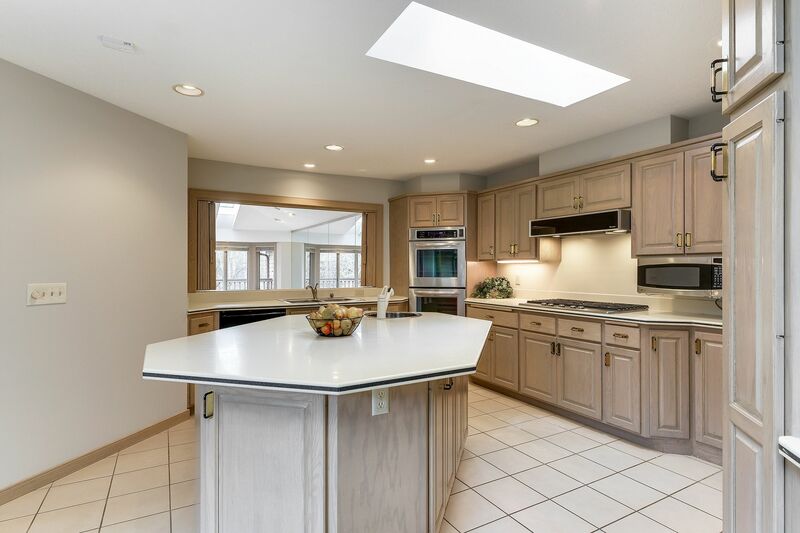 •	Sensational luxury townhouse in Edina’s Dewey Hill III neighborhood overlooking a pond with western exposure. 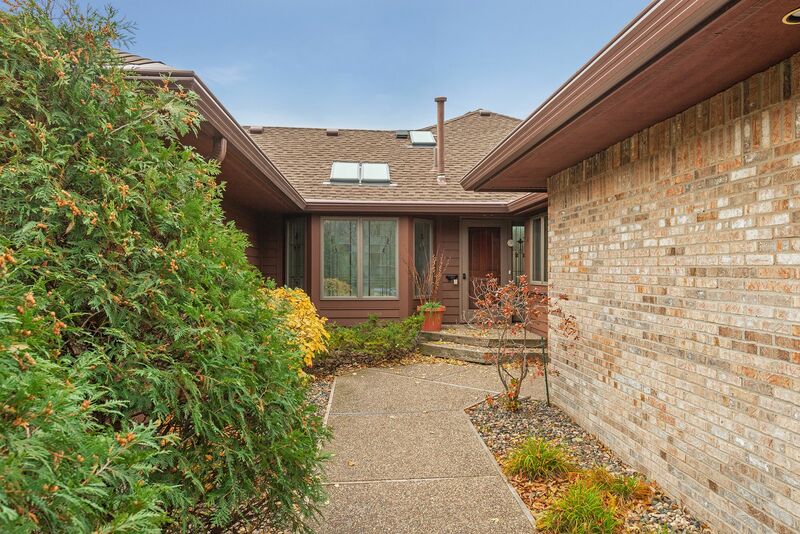 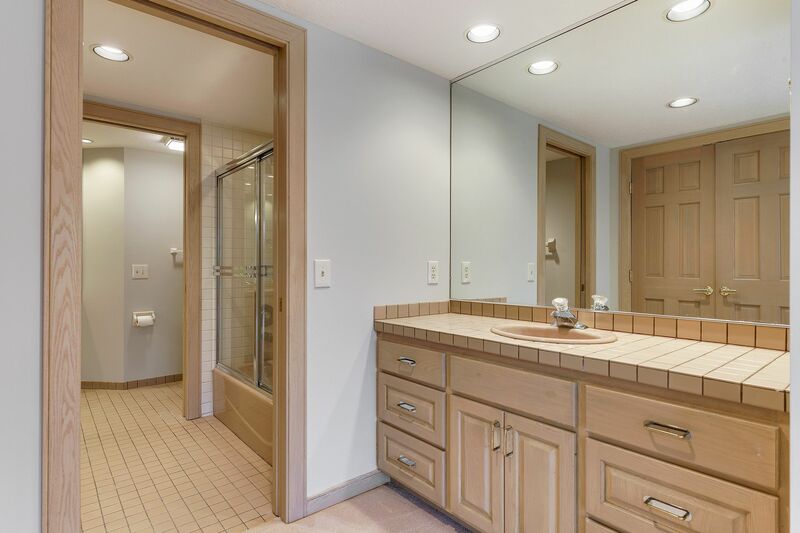 •	Fantastic location toward the end of the quiet private cul-de-sac. 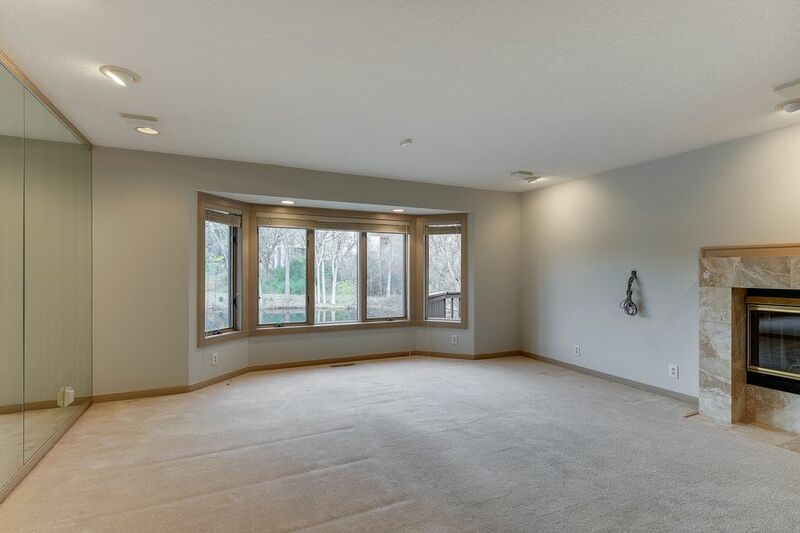 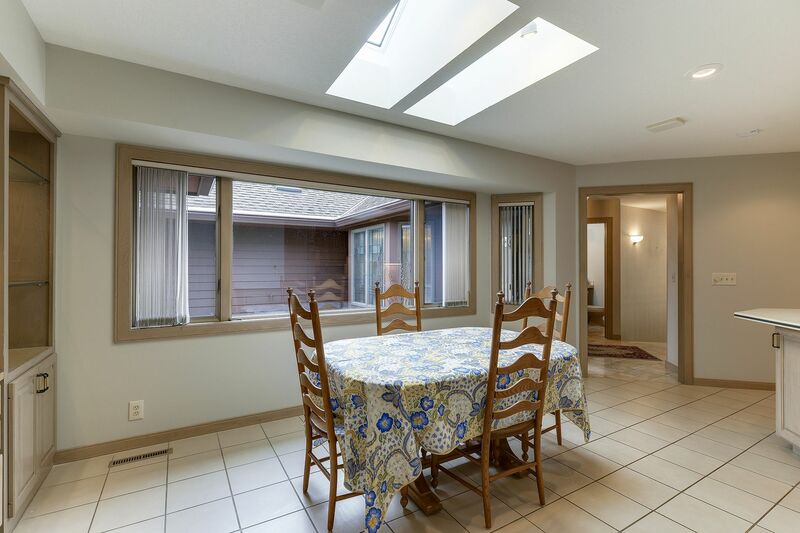 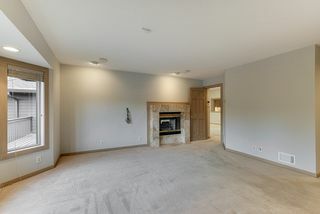 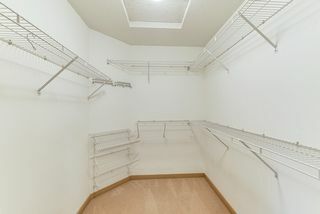 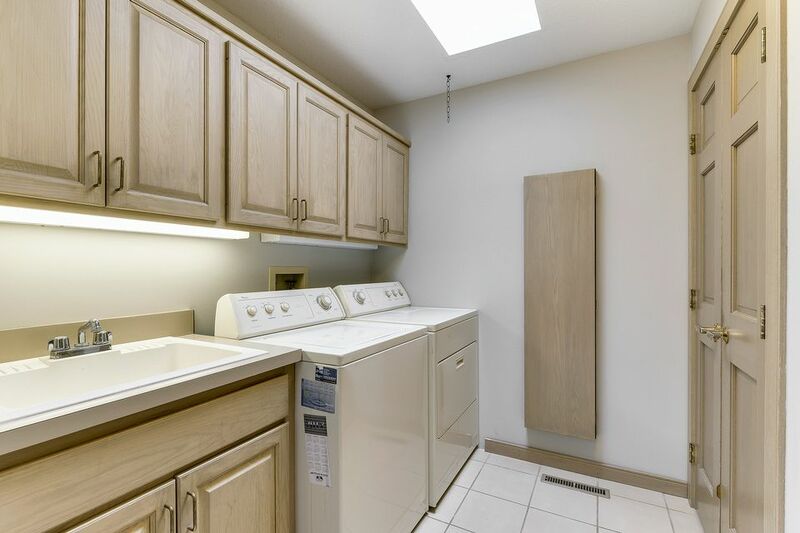 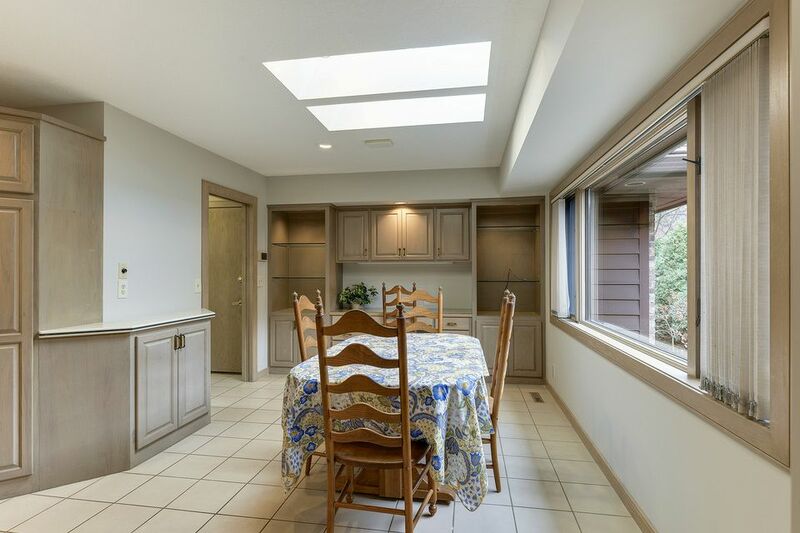 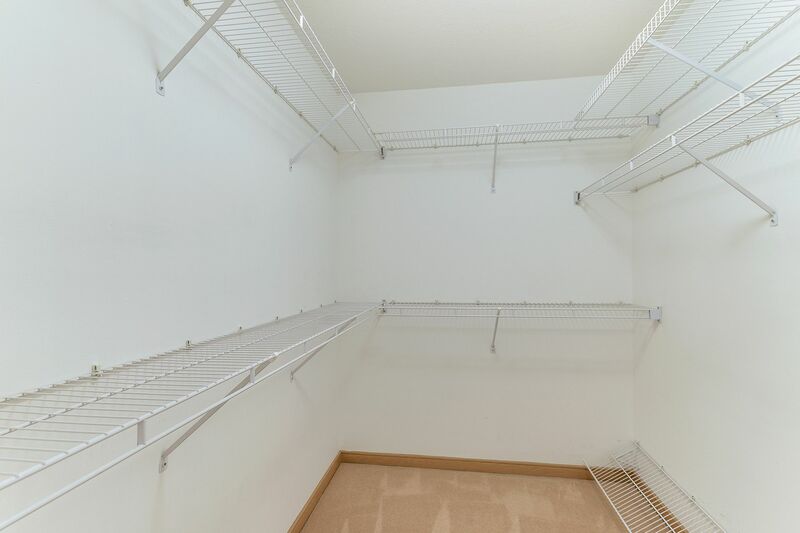 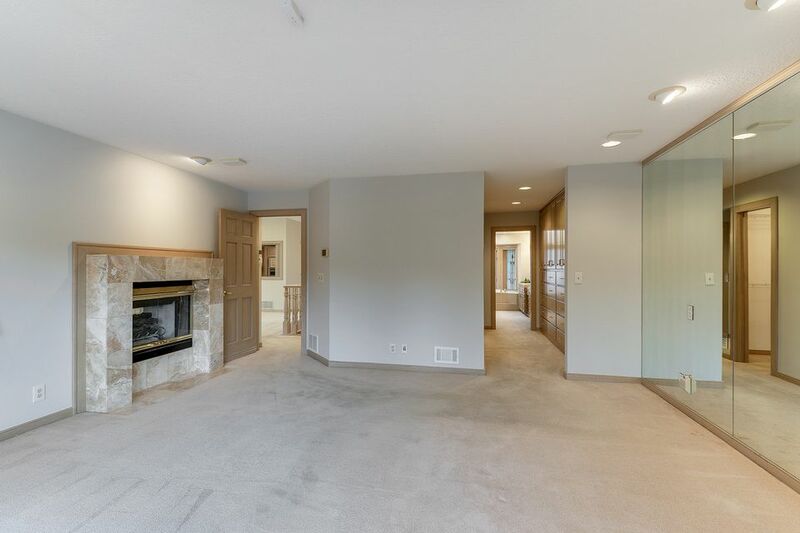 •	This light filled main floor living townhome offers and airy, open feel with great spaces for entertaining family and friends yet cozy enough for daily living. 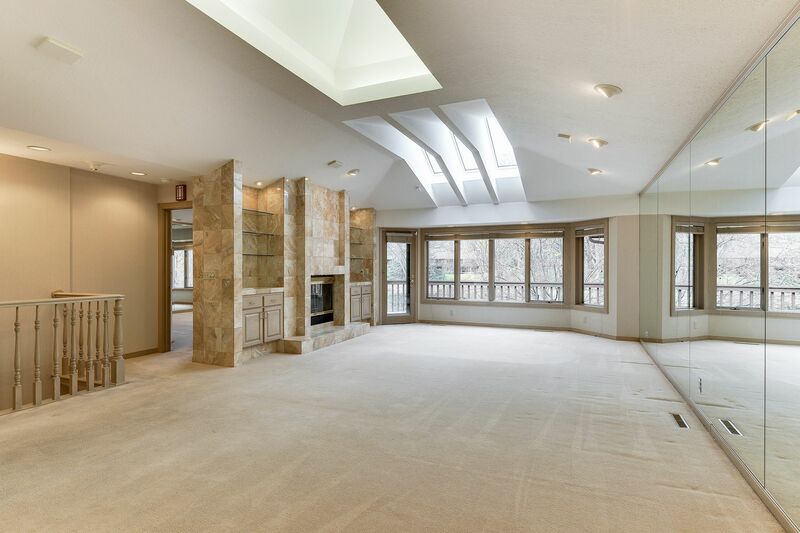 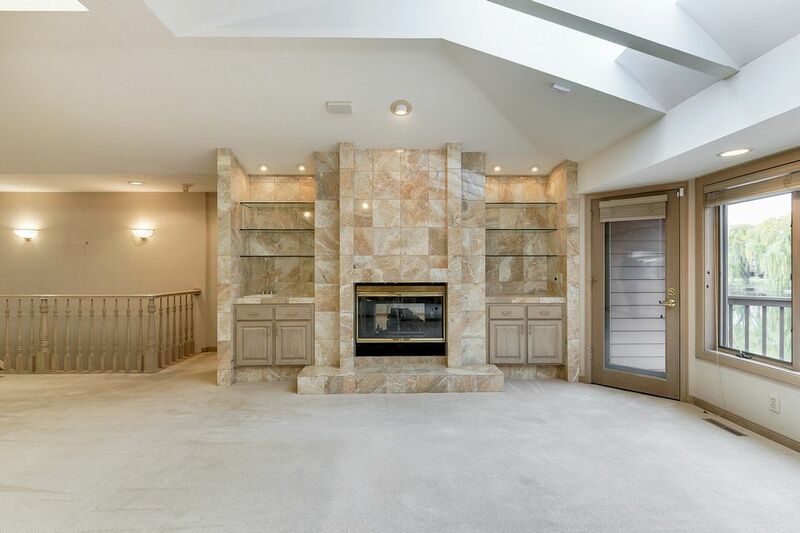 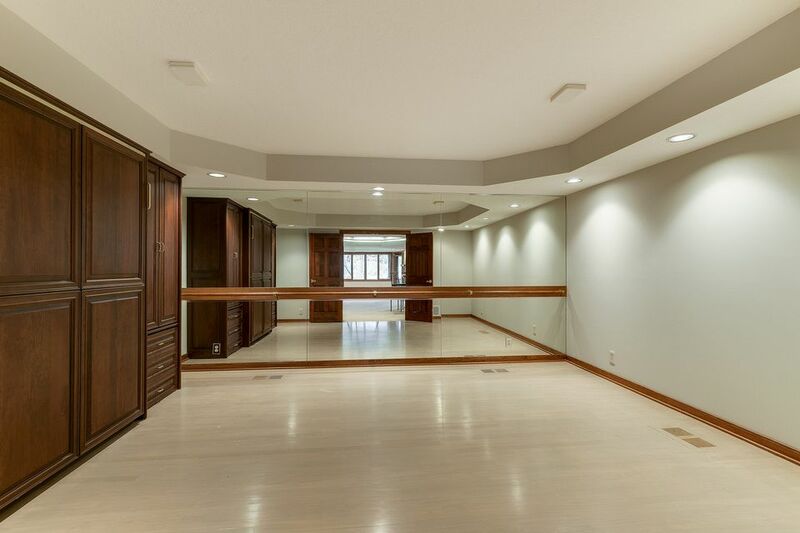 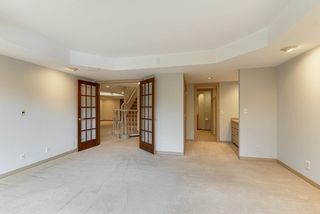 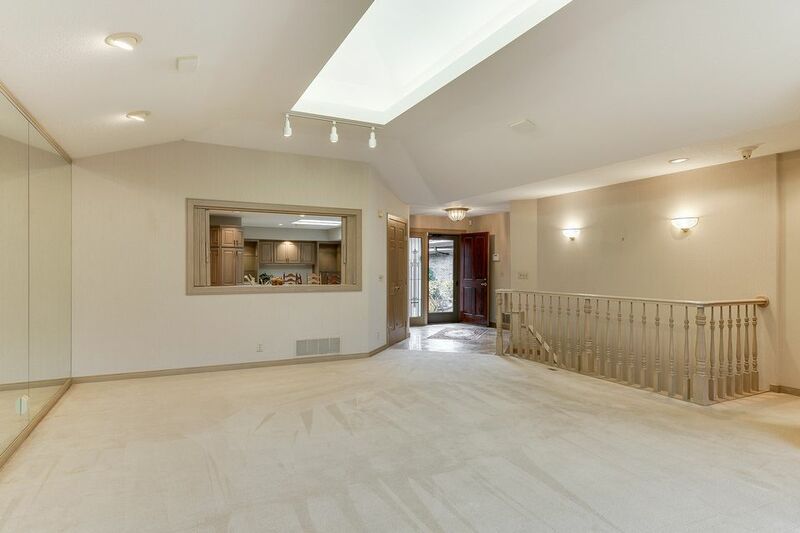 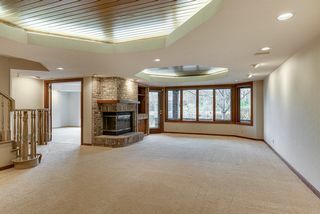 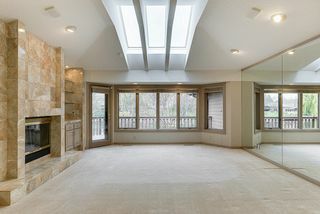 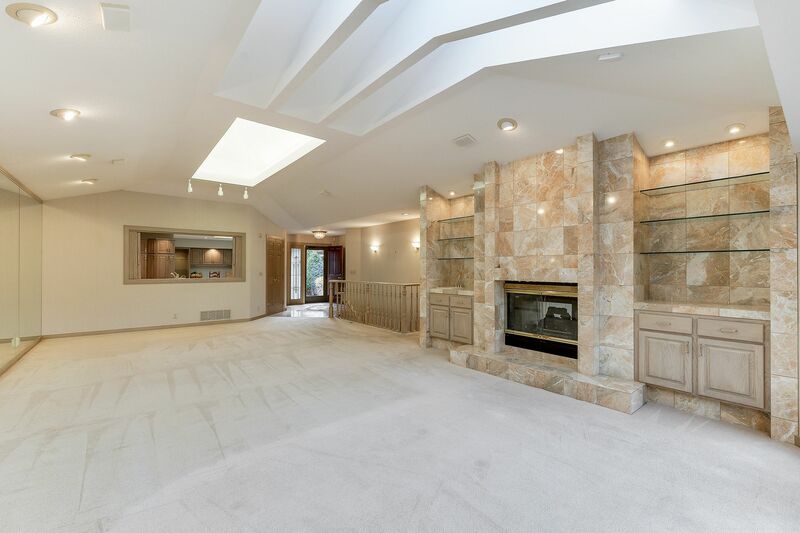 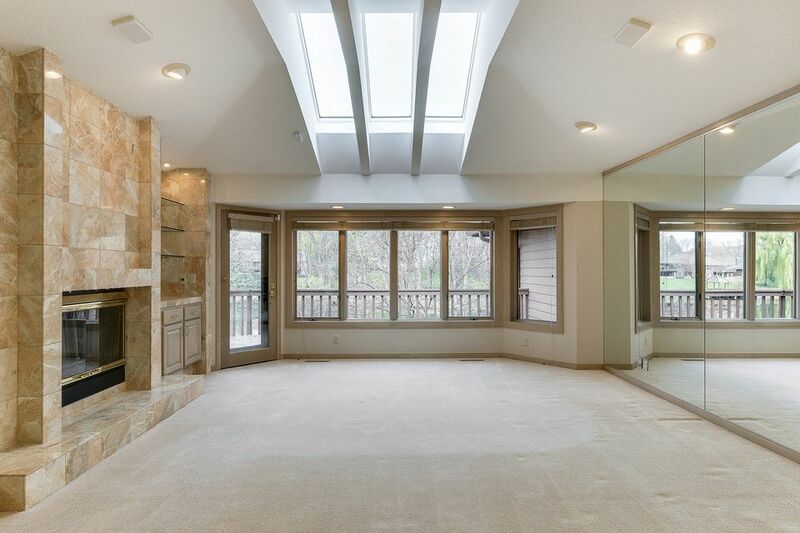 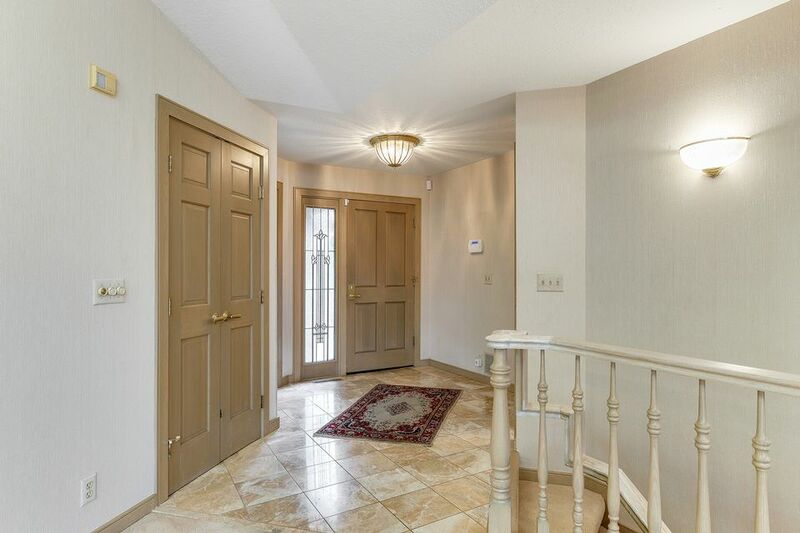 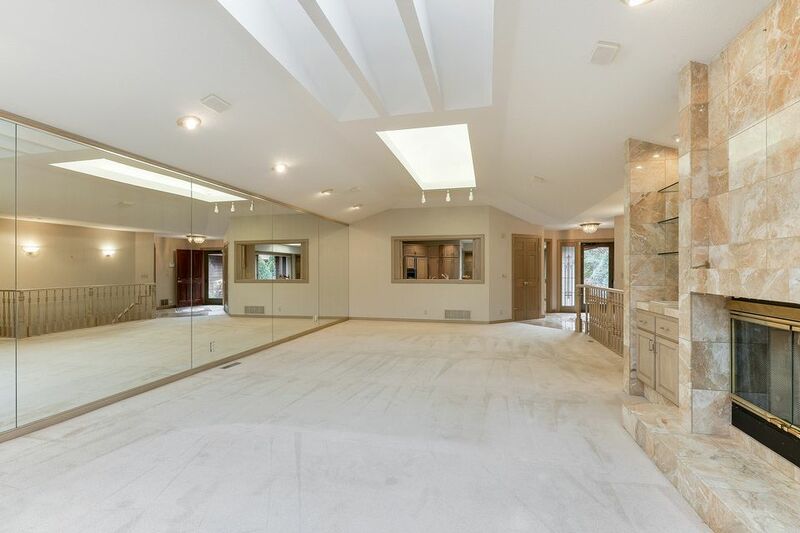 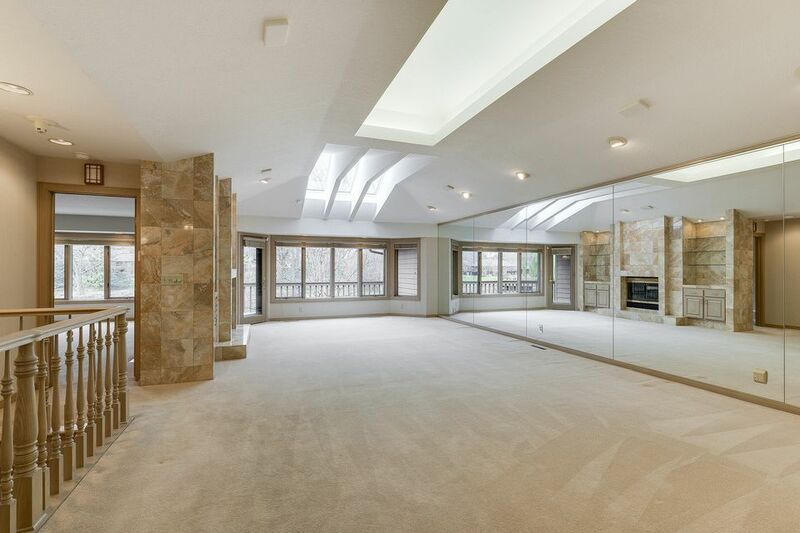 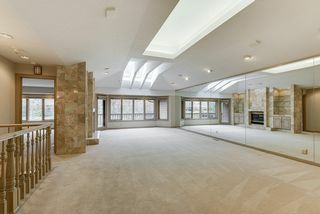 •	The foyer has marble flooring and opens to the amazing vaulted great room. 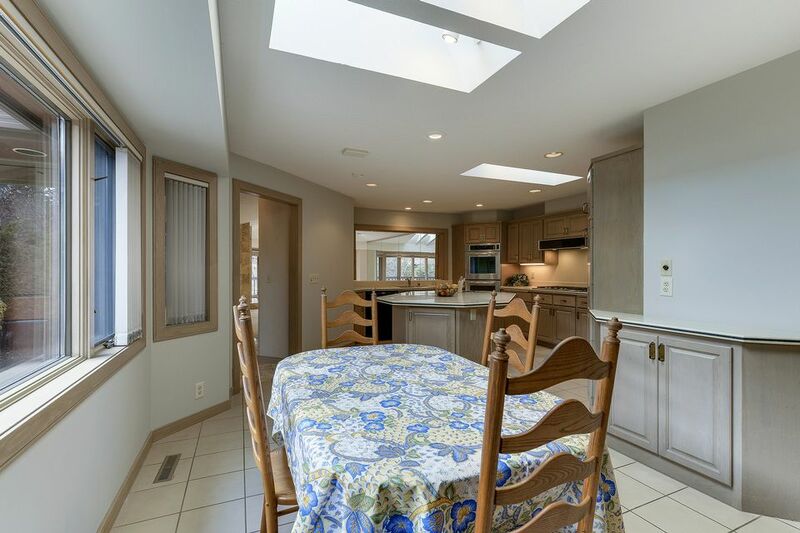 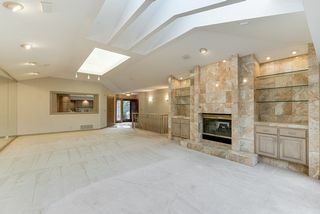 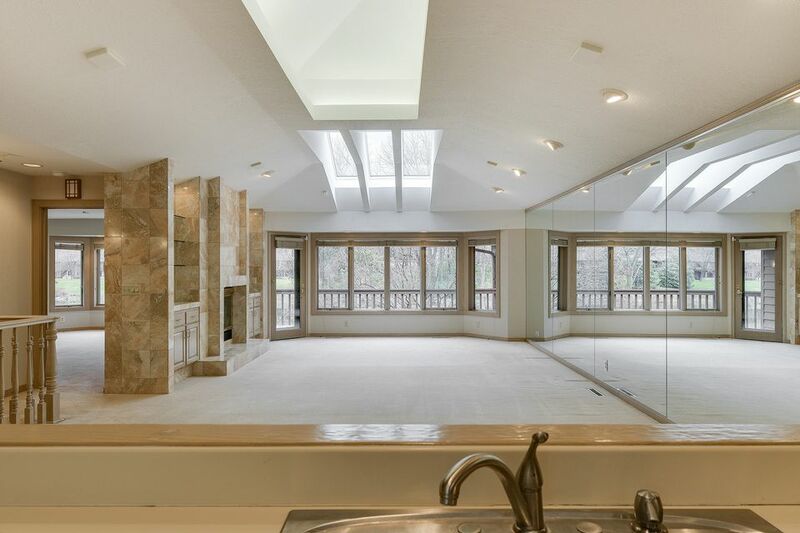 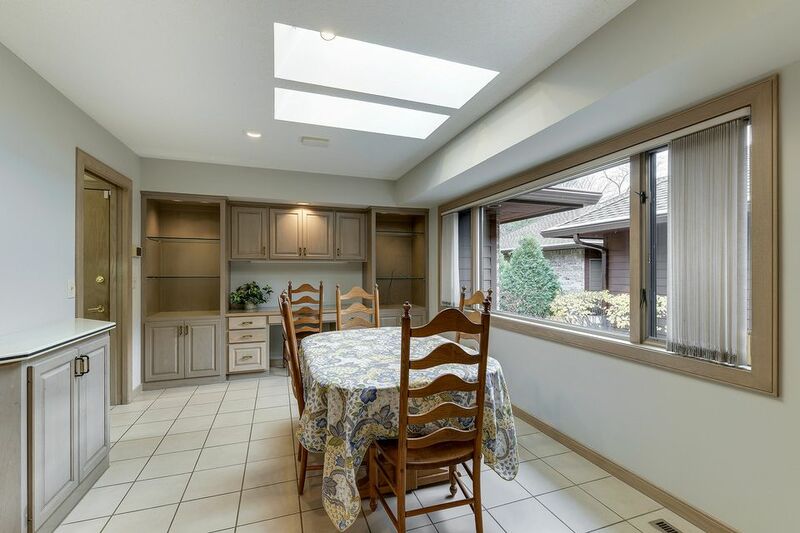 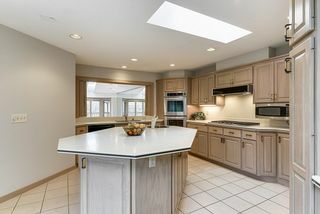 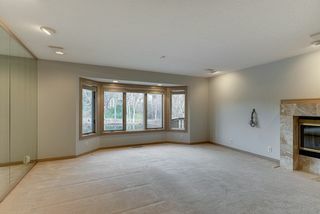 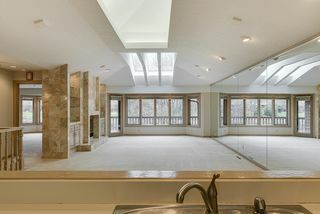 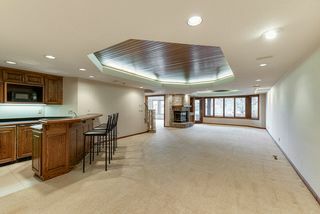 The spacious dining area and a wonderful living area which has a gas fireplace with marble façade, flanked by lite glass display shelves, wet bar, 3 skylights, a large bay window with a door to the relaxing deck, all overlooking the tranquil pond. 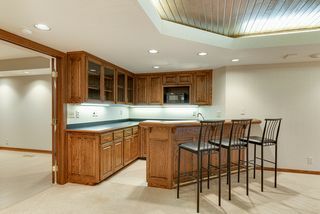 •	The remarkable kitchen is very spacious and offers a huge center island with a prep sink and breakfast bar, a pass through to the great room with pond views, a vast amount of countertop space, a newer stainless steel Kitchenaid double oven and 6 burner gas cooktop, 3 skylights, and additionally there is an expansive dining area, a large planning desk flanked by cabinets and display shelves and an adjacent main floor laundry room. 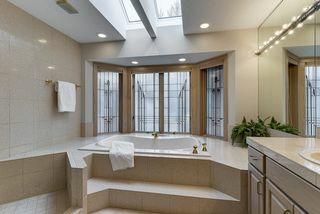 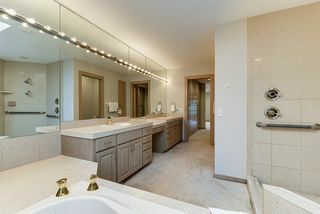 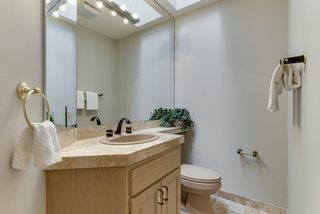 •	The tremendous main floor master suite features a gas fireplace, a bay window overlooking the pond, 2 large walk-in closets and a hallway with 20 drawers plus cabinets and a very roomy master bath with double sink, vanity desk, 2 skylights, a large whirlpool tub and separate shower with new glass surround. 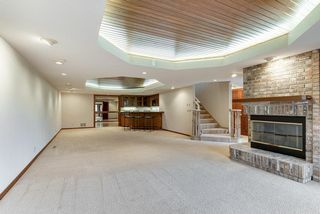 •	A gracious open staircase with classic spinals flows to the walkout level boasting a huge family room with a brick gas fireplace, a bay window and door to the patio, a ceiling with lit recessed lighting and room for a pool table. 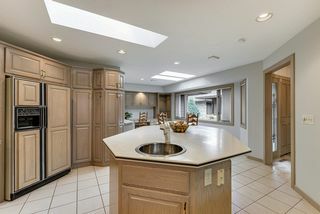 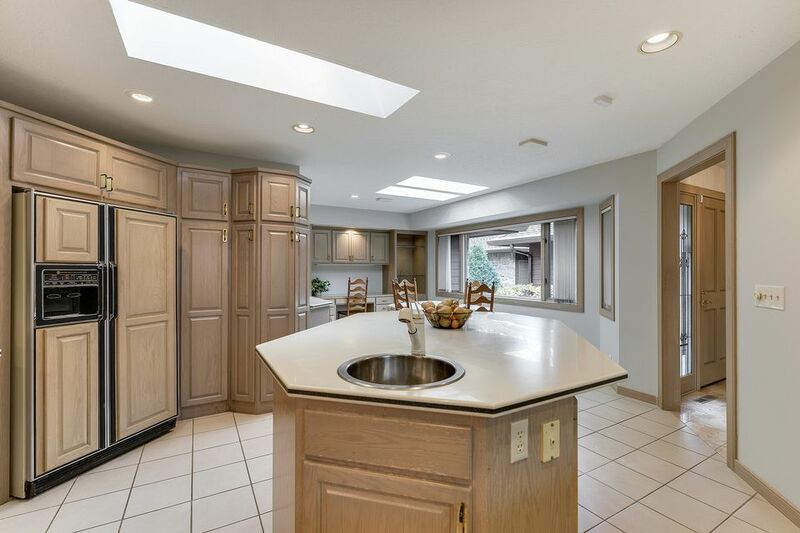 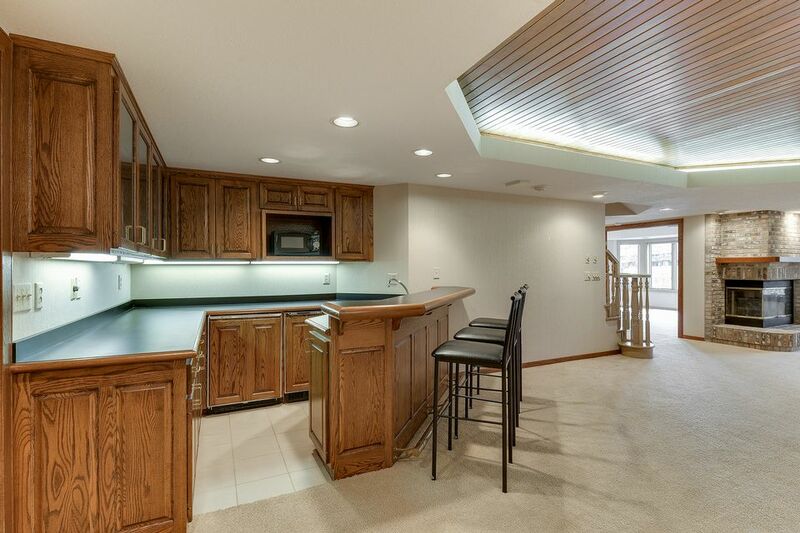 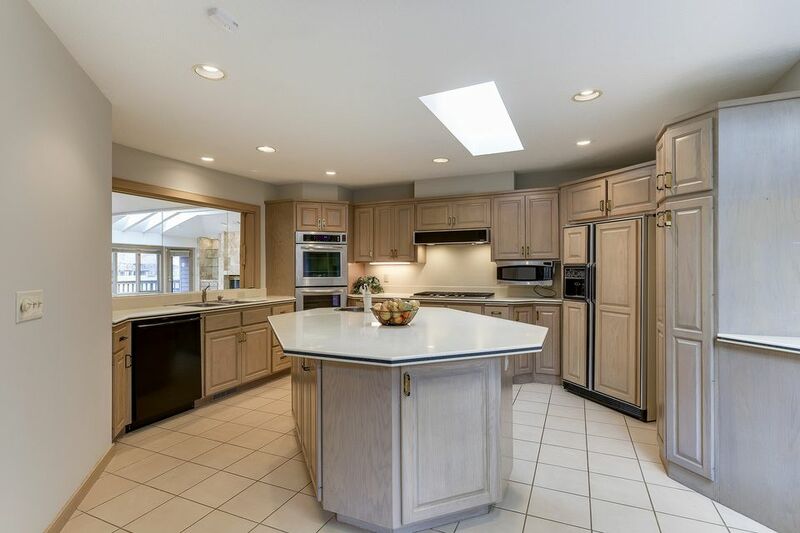 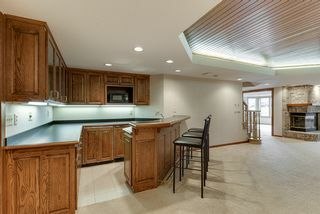 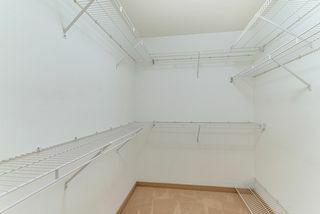 •	There is a great wet bar for entertaining with a refrigerator and dishwasher. 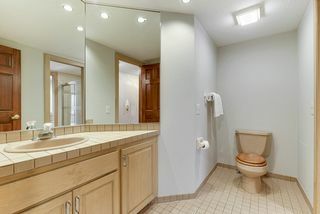 •	The tremendous guest en-suite has great pond views and an adjacent walk through full bath. 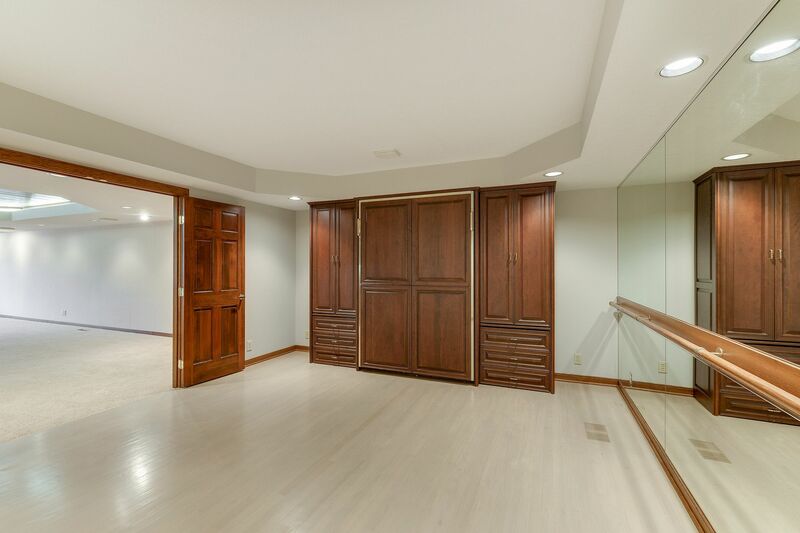 •	Furthermore, French doors open to an office/exercise room/guest bedroom with a pull-down murphy bed and hardwood floors. 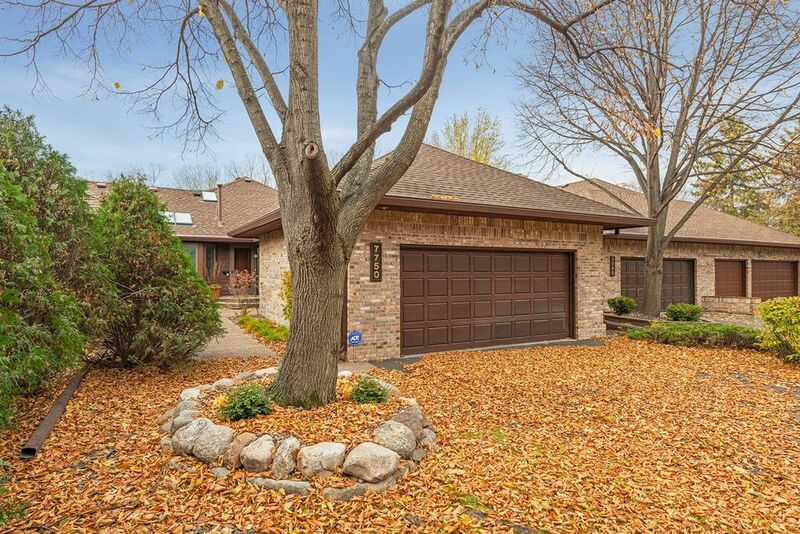 •	A welcoming courtyard entryway with exposed aggregate sidewalk leading to the front door. 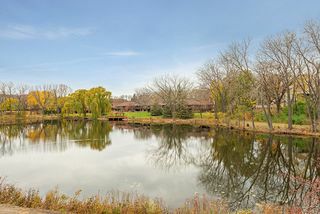 •	The pond is aerated and maintained by the association.